Not long after Seaboard started operating Boeing 747s, a crew rolling down the runway at Charles de Gaulle Airport outside Paris could not maintain directional control and the aircraft exited the runway. Fortunately, there was a high-speed turnoff directly in their path and they stopped without damage. During the ensuing investigation, the F.A.A. revealed that there had been dozens of similar B‑747 incidents in the industry since the type entered service at the beginning of 1970. The problem was due to the design of the aircraft. A crosswind exerts a strong force on the large vertical stabilizer, tending to turn the aircraft into the wind. At low airspeeds, the rudder cannot generate enough force to counter the force of the vertical stabilizer all that keeps the aircraft from turning is the friction of the the nose-wheel tires on the pavement. That friction, dependent on two small patches of rubber where they contact the pavement, is small when the c.g. (center of gravity) is relatively aft; thereby reducing the weight on the nose-wheel tires. Couple that with a slippery runway and it doesn't take much force on the vertical stabilizer or thrust imbalance to cause the aircraft to weathervane into the wind. 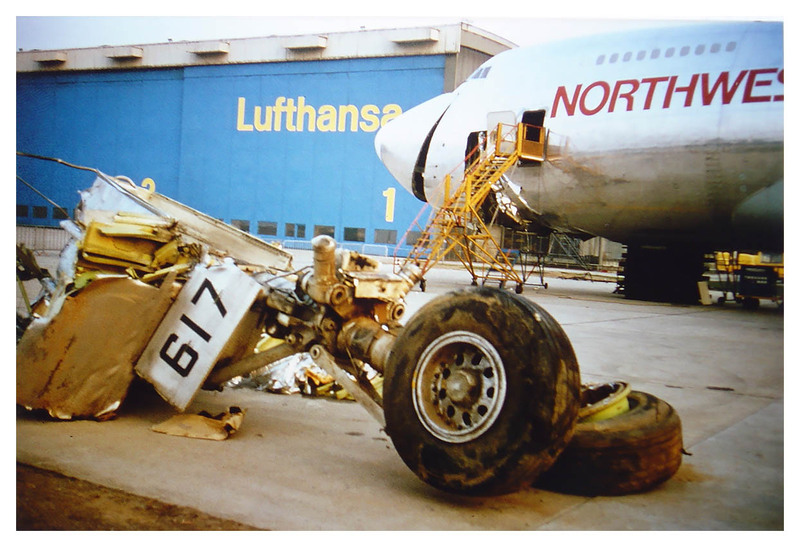 On April 16, 1979, a Seaboard crew flying N617US, a Boeing 747 freighter leased from Northwest Airlines, started its takeoff roll from Frankfurt. The aircraft was empty with an aft c.g. The runway was wet and there was a crosswind. 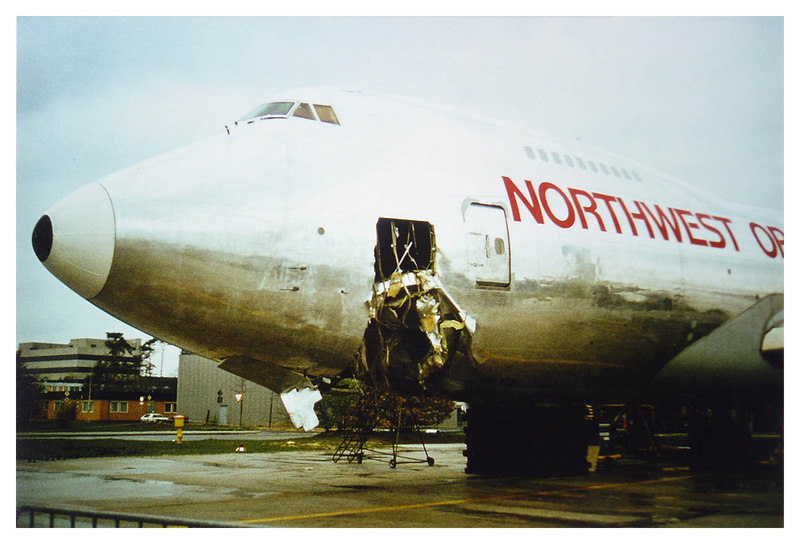 A further disadvantage was that the Northwest airplane could only be steered on the ground at low speed by use of a tiller; and not through the rudder pedals as was the case with Seaboard's 747s. Therefore, it took three hands for takeoff until they reached an airspeed where the rudder could maintain directional control; one on the tiller, one on the throttles, and one holding forward pressure on the control wheel, and ailerons into the wind. Given the circumstances, the two highly competent pilots could not maintain directional control and had to abort the takeoff. They discussed the situation and decided to try another takeoff, taking great care to advance the throttles symmetrically and maintain proper control of the elevators and ailerons. Once again, they could not maintain directional control and this time, the aircraft departed the runway into the grass. The nose gear impacted a concrete slab in the grass and the aircraft sustained substantial damage. Such incidents continued in the industry, some resulting in total airframe losses.